To help class members understand the warnings and counsel given by Mormon and Moroni to people living in the latter days. Why Are Mormon's Extensive Quotations Of Limhi Significant? Gardner seeks to provide a commentary on Mormon's life and work of the Book of Mormon. He begins by laying out what is known of Mormon's life. Then he delves into how he pieced together the Book of Mormon. He explains the outline of the Book of Mormon, reasoning behind book names, the sources behind his accounts, and how Mormon interacted with his record. 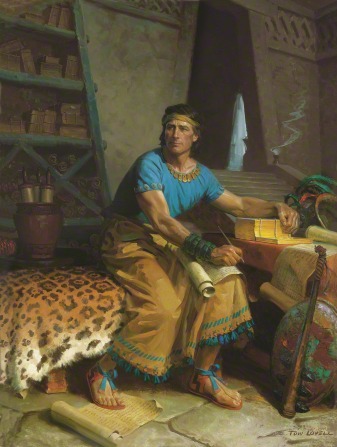 Mormon was not only the abridger of the plates, but he was a Nephite record-keeper, a general, an apostle and prophet, a father, and he may have also been a prophetic type. 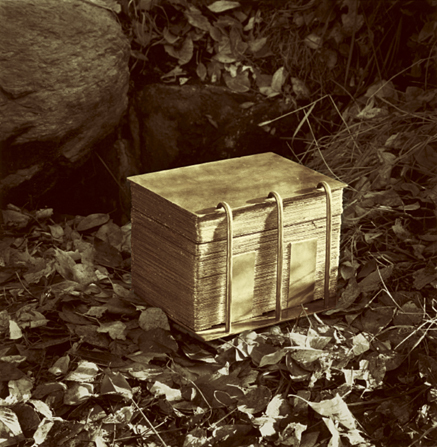 An encyclopedic entry on Mormon, his life, works, and the book of Mormon. Hatch, Gary Layne. "Mormon and Moroni: Father and Son." In The Book of Mormon: Fourth Nephi Through Moroni, From Zion to Destruction, edited by Monte S. Nyman and Charles D. Tate, Jr., 105-115. Provo, UT: Religious Studies Center, 1995. Butler, John M.. "The 'Author' and the 'Finisher' of the Book of Mormon." In The Book of Mormon: Fourth Nephi Through Moroni, From Zion to Destruction, edited by Monte S. Nyman and Charles D. Tate, Jr., 61-68. Provo, UT: Religious Studies Center, 1995. In the Church we speak of Jesus Christ as the author and finisher of our faith (Moroni 6:4; Heb. 12:2). This paper examines and compares Mormon as an "author" and Joseph Smith as a "finisher" of the Book of Mormon. Perhaps no other prophet personifies the preparation and achievements of Joseph Smith better than the prophet Mormon. He was a type for the Prophet Joseph—foreshadowing Joseph's life and important mission. Hardy, Grant, and Robert E. Parsons. 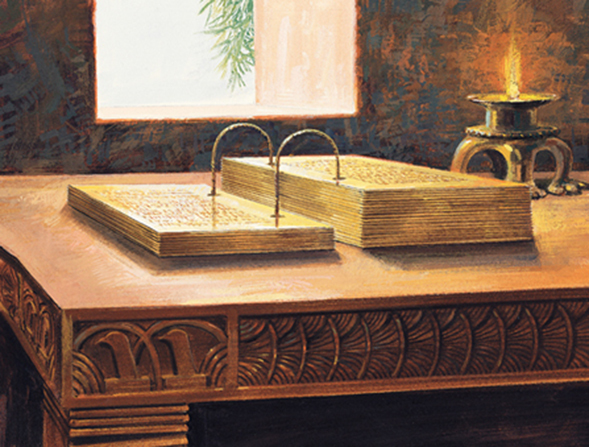 Book of Mormon Plates and Records In Encyclopedia of Mormonism, Edited by Daniel H. Ludlow. Vol. 1. New York: Macmillan, 1992. 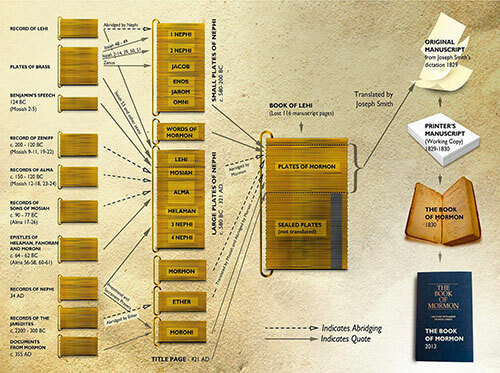 Encyclopedic entry on how the various records and plates are compiled to form the current Book of Mormon. Hardy, Grant. Gold Plates In Encyclopedia of Mormonism, Edited by Daniel H. Ludlow. Vol. 2. New York: Macmillan, 1992. This encyclopedic entry explains the contents of the gold plates, and how they came to be in their current form. Mormon 7:5 declares Christ's victory over the grave in what appears to be a quotation or at least allustion to 1 Corinthians 15:55. Scholars have speculated that this idea may have originated from a common source that predates both Paul and the Book of Mormon prophets. The Gospel of Nicodemus provides interesting parallels that may support the idea of an earlier text. Sheet music of and LDS hymn describing Mormon and Moroni's role in preserving the gold plates, leading to the restoration of Christ's gospel. Thomas, Mark D. "Moroni: The Final Voice." Journal of Book of Mormon Studies 12, no. 1 (2003): 119-120. 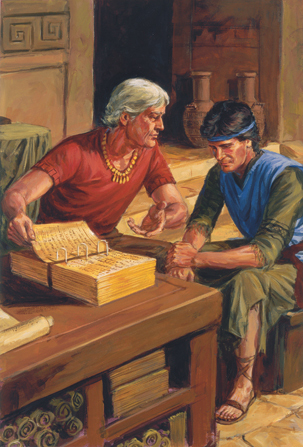 Moroni, the final writer and compiler of the Book of Mormon, provides three endings to the book. His first ending, in Mormon 8–9, can be called a “signature ending”—the primary purpose here is to state that the writing is finished and to identify the author and his father and nation. 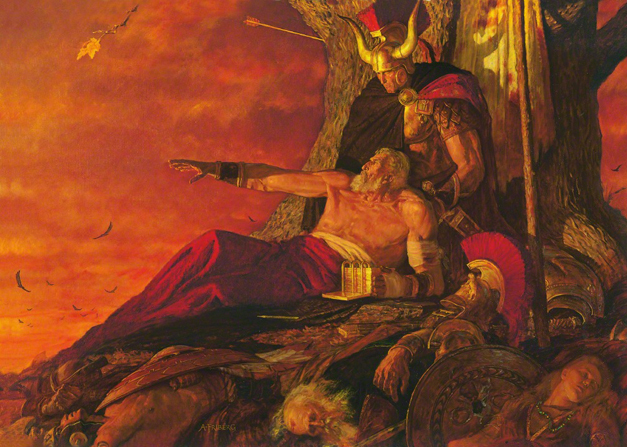 Moroni, yet alive, provides a second ending, a “farewell ending,” in Ether 12. This type of ending both concludes the work and wishes the reader well but then warns or rejoices that the narrator will meet the reader at the final judgment. In the final farewell ending (in Moroni 10), Moroni, the lone survivor of his people, expresses joy and hope. 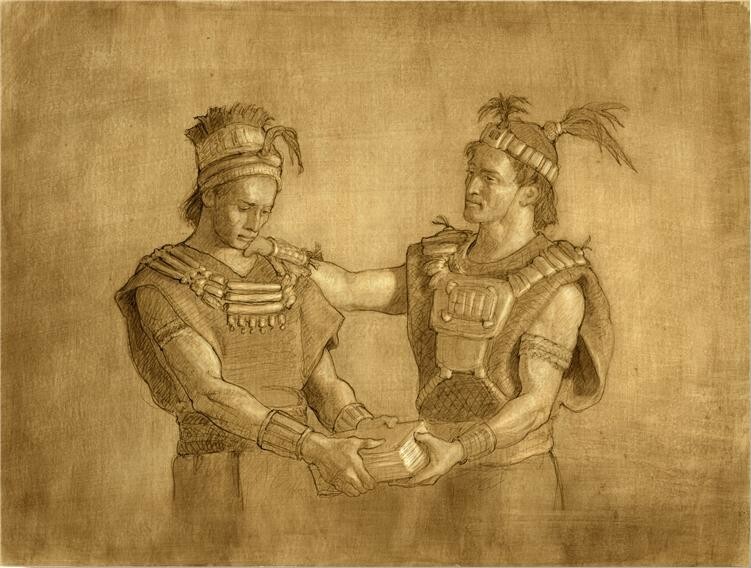 The three endings remind latter-day readers to acknowledge the destruction of the Nephite and Jaredite nations and provide doctrinal, logical, and scriptural arguments in defense of the Book of Mormon and its doctrines. Ricks, Stephen D. "Semitic Texts Written in Egyptian Characters." In Pressing Forward with the Book of Mormon: The FARMS Updates of the 1990s, edited by John W. Welch and Melvin J. Thorne, 237-243. Provo, UT: FARMS, 1999. In discussing the nature of "reformed Egyptian," Stephen Ricks proposes that it could be Hebrew that instead of being translated, was rather transcribed into Egyptian hieratic. Several examples show that some Israelites were familiar with both languages and could transcribe Hebrew into Egyptian characters. "The Book of Mormon and Reformed Egyptian," FairMormon entry. This entry deals with the criticism that Israelites did not write in Egyptian. Recent discoveries have shown that some Israelites during the time of Lehi were indeed literate in Egyptian and traded with them. Stubbs, Brian. "Hebrew and Uto-Aztecan: Possible Linguistic Connections." In Reexploring the Book of Mormon, edited by John W. Welch, 279-281. Provo, UT: FARMS, 1992. Tvedtnes, John A. "Inscribed Gold Plate Fits Book of Mormon Pattern." Insights 28, no. 1 (2008). Smith, Robert F.. "The "Golden" Plates." In Reexploring the Book of Mormon, edited by John W. Welch, 275-278. Provo, UT: FARMS, 1992. Tvedtnes, John A. and Stephen D. Ricks. "Notes and Communications: Jewish and Other Semitic Texts Written in Egyptian Characters." Journal of Book of Mormon Studies 5, no. 2 (1996): 156-63. Jensen, Jay E. "The Precise Purposes of the Book of Mormon." Religious Educator: Perspectives on the Restored Gospel 4, no. 1 (2003): 1-11.